Acrylic Sign Holders in stock ready to ship! Click on any acrylic sign display below. We stock a variety of sign holders with many sizes to choose from. We can produce any size acrylic sign holder or acrylic table top displays you need. Please email us at sales@ccpdisplays.com or call 305-233-6534 to purchase your sign holders. Acrylic Sign Holders are perfect for displaying your signs and getting messages across to a customer. Acrylic sign holders, acrylic sign display, acrylic table tents, plastic sign holder, wall sign holders, tabletop sign holders, ad frames, acrylic table tents, acrylic display stands, acrylic wall sign holder, plastic sign display, acrylic tabletop display stand, plexiglass frames, clear acrylic sign holder, clear acrylic display, countertop sign holder, retail sign holders are all terms used when buying acrylic sign holders. Acrylic table tents and sign displays perform well in trade shows, craft fairs and for a business trying to attract potential customers at a show. Retailers choose Custom Creative Plastics for acrylic sign displays because many of our products are in stock and can ship same day. 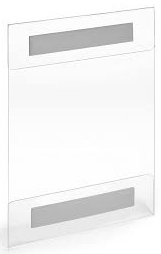 Our acrylic sign holders come in many different styles and sizes many it be Acrylic Wall Sign Holder or Acrylic Wall Standoff Sign Holder for the wall or Bottom Loading Acrylic Display, Angled Acrylic Display, Acrylic Magnetic Signholder for the tabletop. Combining our acrylic sign holders with your signage is a great way to start a successful sales campaign and attract potential customers. A plastic sign holder or an acrylic frame display puts your information out to a customers and can protect your signage from getting wet or dirty. We manufacturer all our plastic sign holders right here in the US. so making any size custom acrylic sign holder is no problem for us. In addition, there are Acrylic Suction Cup Signholder to mount to a store window and if you need to hung from the ceiling we carry Ceiling Hanging Poster Display. Being an acrylic sign manufacturer, Custom Creative Plastics can deliver custom acrylic sign holders of any size. With the right design and placement, your business information is at your customers fingertips. Dont forget to check out our other lines of Acrylic Sign Holders here at Custom Creative Plastics. Do you need a custom acrylic sign holder? If you do not see the size or design listed - just Contact Us. 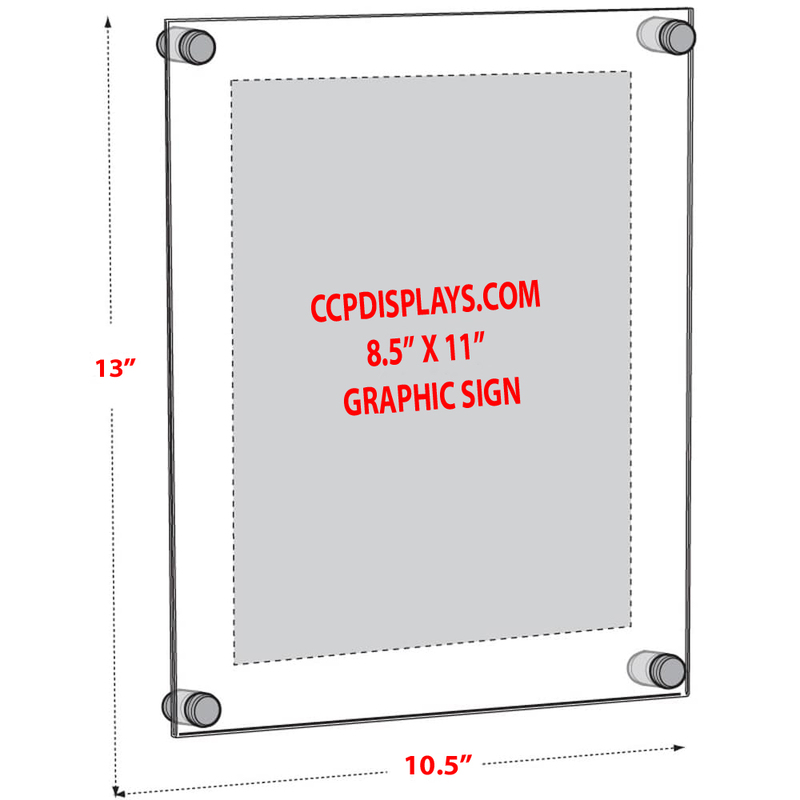 CCPDisplays.com - Your Acrylic Sign Holder Factory.